Employers from a variety of industries will be present to recruit Pacific students and alumni from all majors for internships, part-time and full-time opportunities. Open to all majors, class levels & alumni. 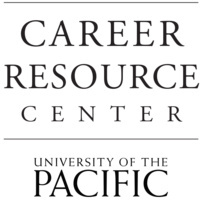 For more information, as well as a list of employers, please see Tiger Jobs (students may access through insidePacific). Students also can download the "Career Fair Plus" app today to navigate the Career Fair and see the list of employers attending. On the day of the event, students can view a map of the fair detailing where each employer is located.